He looks like a hedgehog gone awry. hmmm. He’s supposed to be a fish. See his little fins? This is an unfinished piece from last fall. I dug him out because I still like him, he just wasn’t exactly what I wanted at the time. 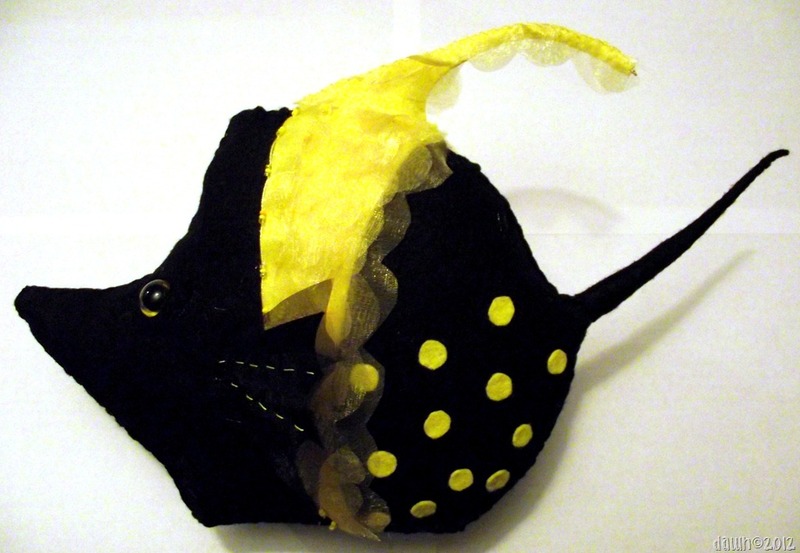 As I was stitching I realized that he looked much like a bumblebee, thus the title. And the stinger. He’ll be mounted on a stand, next week if we can dig ourselves out of the snow that continues to dump around here.